Living Flavours was one of Irish horticulture’s success stories. The product of hard work, determination, innovation and nerve, its rise from an initial idea to a top national brand embodied everything we wish to foster in our industry. A family concern with plants running through its blood, successive generations evolving, developing, growing, spotting new markets and testing new ground. From a backyard market garden, it was grown to a 50 acre site with six under glass. A credit to the Long family. Now the gates are padlocked. Conveyors lie rusting, state of the art production beds warp, CCTV cameras watch over a decaying facility while abstracted bankers pick over the remnants in search gold. The story of Highfield Nurseries, Long Life plants and later, Living Flavours, is a difficult one and for no one more than the man at the helm, Mark Long. Now living and working in the UK, Mark has agreed to share his story and his views on the Irish industry. B. You come from three generations of commercial growers. Tell us a little about your father and grandfather and what they did? My grandfather started a market garden business in the 1920s, Oaklands Nurseries. It was a family business with his sons and daughters working there too. It grew a mix of veg and bedding plants and cut flowers. My father Joe starting working in the nursery when he was 12. 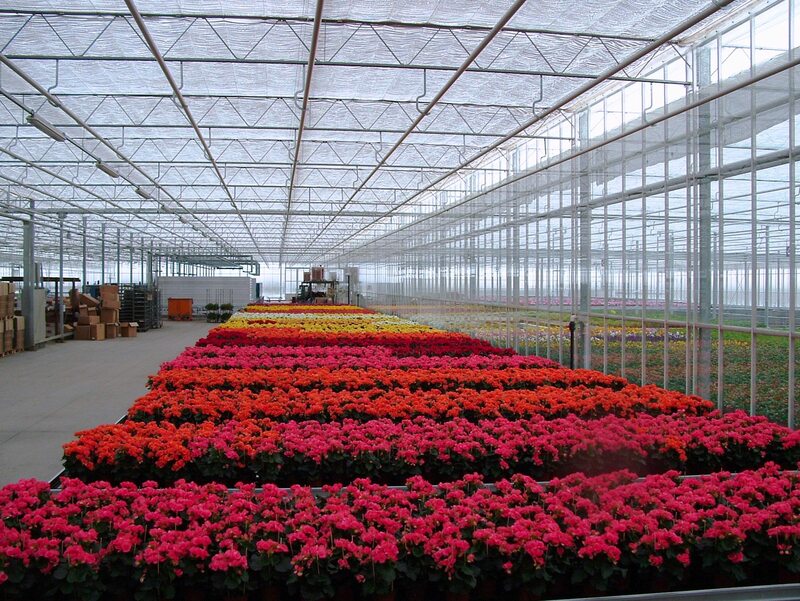 He took over his share of the business in 1979 and created Highfield Nurseries as a wholesale nursery. My uncle ran the retail side of grandfather’s business. My father changed the business from a market garden to a more specialised nursery, growing bedding and potted plants and cut chrysanthemums blooms. The business expanded and my brother and I joined in 1990. B. Can you recall the first money you made from growing and selling plants? I used to grow lupins from seed from our garden and take cuttings and grow on plants and sell them to local neighbours. Good pocket money. B. You spent some time working with Irish Nurseries in the early 1980s. How did commercial operating differ back then? Irish Nurseries was the premier growers in Ireland at the time and had a lot of automation like blackout screens and automatic irrigation systems. Our nursery was hand watering. It was an eye opener to see the new automation and growing techniques. B. You had a lot of experience in growing before reaching your teens. Did you go on to study horticulture and if so, where? I went to Oaklands College in St Albans in the UK and studied commerical horticultre. B. Why did you choose to go to the UK rather than study in Ireland? I looked at the courses and facilities in Ireland and decided if I want to learn the new growing techniques I would have to go abroad. I looked at Holland, but there were no courses taught through English as there are now, so I chose the UK. B. What did you do when you graduated college? When I graduated I went to work for Double H Houseplants for 18 months. This is one of the UK’s top pot plants growers. B. Having worked in the UK, how did you find returning to Ireland? My father asked my brother and me to return home and help expand the business. It was like stepping back in time compared to growing in the UK. B. As I understand it, you started to develop the original Rathgar site in the early 1990s. What was the focus of the business at that stage and how did you go about developing the site? We looked at the products we were growing and the profits from each. We looked at ways of expanding and improving the customer base. And we examined how we could improve on production through efficiencies and modernising. B. By the early 2000s the business was really kicking off and you started to make much bigger plans. What was driving you then? We were struggling to produce enough, and had to buy in products to supplement what we could grow. We had physically outgrown our existing site. B. Can you tell me about the nature and scale of the development you undertook in Ashbourne? We built six acres of glass, fully automated, and three acres of outdoor beds on a 50 acre site. We had ebb and flood benching, pot spacing robots, sodium lights, double thermal screens, a large packing area, plus an office and canteen facilities. The aim was to reduce the costs of production and labour by being more efficient. We reduced our labour force from 11 to eight, while increasing the production area from 8,000m2 to 28,000m2. Compared to the old site, that enabled us to produce an extra 1.25 crops. B. How did you secure funding for such a major development? Through the normal measures, with bank loans backed up by business plans and securities. B. When you got the facility up and running you decided to change the focus of what you were producing. What motivated this change and how did you go about making it happen? (this This is obviously a big question…I suppose I’m looking at logistical aspect of translating an idea into a product in Lidl. We noticed that the returns from our existing products and customers were not going to make enough profit, so we looked at what other products we could grow year round which would generate more profit. We saw a gap in the market with the herbs and started producing them year round. We decided to use our knowledge of pots plants and added value to increase revenue in the herb market. We decided to brand our product under Living Flavour. This gave rise to a 34% increase in volume of sales. It was expensive to do but worth the returns. But it is not the name you are selling; it is the value of the product to the customer and you have to work hard through social media, store demos and events like Bloom to meet your consumer. You take feedback from the public and amend your product to suit the consumer needs, but at all times keeping the retailers informed of what you are doing and why. This is how we made such a large increase in our sales volume. B. You were doing amazing things before it started to go wrong. What were the first challenges you faced? We were selling our Rathgar site in 2005, but ran into problems over a wayleave agreement. That held up the process, and the sale fell through when the crash came in 2008. The years from 2008 to 2010 were very hard for us. B. How did you go about addressing them? We were starting to talk to the banks about our position, and renegotiated our loans etc. At the same time, we were looking more closely at our products and customers, trying to ensure that every product and sale was making a profit. B. When did you know you were facing serious trouble? In October 2009 we did our yearly review with the banks and set our facilities with them. That December was one of the coldest on record and our overdraft facilities went up chimney. In Janauary I went back to the bank and asked for additional funding but they said no. This meant I had no cash flow and could not order oil or pay staff. So we were forced to close overnight. B. Having been a retail manager for years, I always assumed the larger multiples played a part in the businesses’ demise. Was this the case? Dealing with the multiples is hard but fair. They have to look after their businesses like you have to look after yours. If you can not suuply at the price they need you have to say no. This means you will always will have products being dropped, but you must make sure you can replace them new ones. Multiples are like consumers; you always go for the bargin. So you have to be different from the competition and put yourself in a position where you solve multiples problems for them. B. Tell me about the experience of dealing with the banks during this process? I have always had good dealings with the banks. They have recently lost sight of the fact that our business is a money-up-front business. We have all the imputs at the beging of the crop and then have to wait until it’s ready for sale. Depending on the crop, that could be three months to two years. When the closure happened the relationship stopped, despite the fact that we were still trying to work things out for staff, customer and them. B. What happened in the immediate aftermath of the closure? We got notification of the bank’s loan refusal on a Friday evening and then spent the weekend trying to find an investor to back us. We found a company which was willing to buy the business as a going concern but the bank rejected the offer. So on the Tuesday we had to tell all the staff their fate and let customers and suppliers know what was happening. The multiples wanted to help us with up front payment etc to keep us going, but it was not enough. Some of the staff stayed with me working in the nursery for a month, suppling what we could to the multiples until we ran out of packaging. I managed to find jobs for most of the staff over the following month. The bank had security men on the site on the Tuesday evening so that nothing would be removed without their knowledge. At the end of month I shut everything down and left. They never appointed a receiver. The cost of security for the first year was €5,000 per week. They closed it down without any thought to the work structure of the building, even when they were told what could happen. They refused to rent out the nursery to keep it in working order, and they let stock die: 400,000 worth. B. During the process, were any organisations or government bodies able to provide support? I was intouch with IFA and Board Bia. They helped as far as they could but there should be a way they can have a mediation service to help grower and farmers in this situation. I felt lost not knowning which way to turn. I would like to thank my staff and grower friends and suppliers for their help over this period. B. Have you been back to the facility since and if so, what’s left? I have been back to the site a few times. It is not in great shape as the bank did not put anybody on site for seven months to look after it. As everything was shut down the summer temperatures with vents closed melted all the benching and some irrigation pipes. I dread to think what damage has been done to the machinary. They are supposed to have someone on site now. B. So what will happen now? The banks are going to sell all the assets belonging to my father in the next few months – the Rathgar site, the Wyestown site, and my sister’s house, which my father willed to her and was not given as security to the bank. If I have learned one lesson, it’s to make sure you trade as a limited company and you have a bank that cannot come after the assets of family who are not even involved in the business. B. You’ve secured a good job in the UK. Can you tell us a little about the job and how it plays out with your family still in Ireland? I worked for two years at K J Curson Growers Ltd, managing their production of bedding and pot plants for the UK multiples. We had 22 acres of glass and polythene. We also grew 800 acre of pumpkins and 120 acres of courgettes. I now work for Bell Brothers Nurseries. We grow bedding plants, pot plants, perennials, nursery stock and plug packs. The nursey is has 28 acres of glass on eight sites plus some polythene. It keeps you busy. Depending on the season, there are between 50 and 150 employees. My family is still at home in Dublin. I try to get home about every twelve weeks but don’t always make it. I look on the positive side of it. I have a job, unlike many at home, I enjoy the work and I appreciate the time with my family. I don’t see myself coming home any time soon, as there are very few opportunities for me in horticulture in Ireland. There are quite a few positions available in the UK and a shortage of skilled people available. For me to come home to Ireland would involve a change of career. B. Do you think there are opportunities for skilled horticultural graduates from Ireland in the UK? Yes there have been fewer graduates coming out of college and this has led to a shortage. There are very few growers in the UK with over five years’ experience around, and these people are highly sought after. But there are opportunities in other areas such as marketing, purchasing, logistics, sales etc. It’s a big industry over here, supplying 60 million people. For example, last week we had a promotion for one of our customers and went through 1,800 trolleys. B. With the experience behind you, what advice would you give to others considering innovative business expansion in Irish horticulture? B. Men like you are rarely kept down for long. What’s next? I am keeping my head down, and keeping working. I can’t think too far ahead until all my dealings with the bank are finished, however long it takes. But you learn form your mistakes and move forward. Something usually shows its head and when it does I will take a look at it. I would like to thank every one who suported my family and me through this and wish the best to everyone for the next growing season. May it be a good one.